It is salespeople that stop a sale from happening. 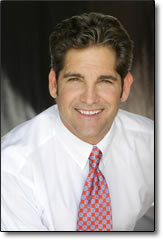 Grant Cardone is being called The Entrepreneur for the 21st Century. Starting from modest beginnings, he is now the founder and owner of three multi-million dollar companies. He has developed multiple sales programs that have affected hundreds of thousands of sales people, thousands of sales organizations, and billions of dollars in retail sales. His developments in sales, sales management, selling systems, sales and business production, sales performance, sales books, and sales programs encompass the basics of selling. His basic tenet is that a company succeeds only through selling and he believes that even the family unit relies on selling to improve their station in life. Cardone speaks internationally to industry leaders, managers, CEOs and entrepreneurs on sales, money, finance, business strategies and business expansion. The author of Sell To Survive, Cardone’s first book stresses the importance of selling to any career. Sell To Survive is rapidly becoming a survival manual for business executives, sales representatives, entrepreneurs and small business owners. Mr. Cardone became known worldwide for his Information Assisted Selling (TM), as a completely new way of effectively selling in the 21st century. His selling systems are now being employed by thousands of companies in the United States and Canada and are applied to products of all types and price ranges, products sold directly to the consumer, to the wholesale provider, both tangible and intangible sales. Additionally, Cardone speaks internationally to sales companies of all genres including the automotive sales industry, real estate sales, direct marketing sales firms and Fortune 500 companies sales teams. CEOs and entrepreneurs look to Grant for guidance in many areas—especially in how selling relates to management, marketing, and business strategies. He has quantifiably improved hundreds of companies in terms of performance, best-selling practices and overall business expansion through selling and marketing.